Michael Singer’s work has been noted for both its breadth and transformation over decades, which has helped in shaping the definitions of, and distinctions between, environmental art, ecological art (also known as ecoart), and site specific art. 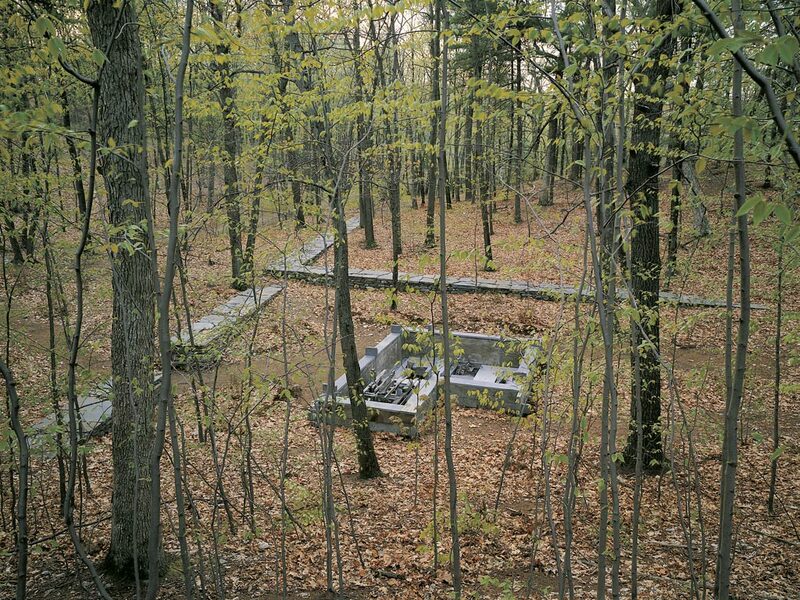 Since the early 1970’s Singer’s outdoor sculptures have been a defining part of the land art and environmental art movements (see a selection of these projects here). While many artists stayed in this genre, Singer’s work evolved through public interaction, in part through site specific public art commissions, and later with design collaborations as a key aspect of all Studio projects. This evolution in philosophy and the intent of site specific projects led to works of environmental art that not only were a part of the environment but also interact positively to cleanse water, create habitat, restore damaged ecosystems and/or generate renewable energy. Many writers and art historians define these progressive functional works as ecological art or “ecoart” in an effort to distinguish them from environmental art in their ability to regenerate and restore environments. The Studio’s portfolio has many such projects, some of the most notable include the South Cove (see here), Alterra Atria Gardens (see here ), Stuttgart Memorial Gardens (see here) , the Seminole Sculptural Biofiltration Wall (see here) and the Living Docks (see here) among others. While distinct from ecological art, environmental art is still an important aspect of the Studio’s work. Not every project is suited to water cleansing systems and restorative plantings. For some projects durability, low maintenance, recycled materials, and other environmental considerations are more sustainable than a sole focus on ecological art. For instance, the Studio’s current work Uplifted Ground at ABIA in Austin, Texas has been initially designed with no water, plants or mechanical systems. Due to extended droughts in the region and the highly structured site on top of an existing parking deck, it is more sustainable to avoid water and plantings for this project. Uplifted Ground is about shaping a spatial environment through art work that references the region’s geology and patterns from aerial photography throughout Texas. The project also “uplifts” in reaction to critical unseen structural limitations. Notably, the walls for the project that enclose the space are made from recycled plastic lumber, which ultimately equates to approximately 7 million recycled milk jugs used in the art. Thus, while environmental art does not necessarily work towards ecological regeneration it nonetheless plays a role in environmental awareness and sustainability.